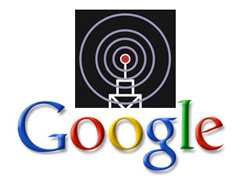 Now that Google has jumped into the deep end of the pool, what are its plans for the upcoming wireless spectrum auction? Is Google playing to win? Is this a bluff? Do we as consumers want Google to win? Should we care? As expected, Google made it official today: It will bid on the “C Block” 700 MHz spectrum offered by the U.S. Federal Communications Commission. The bids, expected to go as high as $4.6 billion, begin January 24, followed by a series of bidding rounds. An end — and answers to many questions — may not come until March. Google’s plans for the auction are outlined in its official blog, although the company doesn’t give us much insight into its strategy. Some bloggers, including Om Malik, rightly ask if Google is in the auction to win. 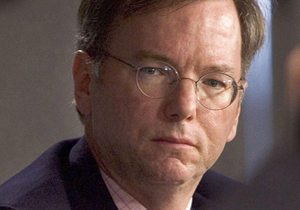 As Om points out, part of Google Chairman and Chief Executive Officer Eric Schmidt’s comments didn’t sound like Google is going to fight like hell and do whatever it takes to win. “No matter which bidder ultimately prevails, the real winners of this auction are American consumers who likely will see more choices than ever before in how they access the Internet,” Schmidt said. Expected to bid against newcomer Google are telco giants AT&T and Verizon Wireless, the No. 1 and No. 2 U.S. carriers, respectively. Expect AT&T and Verizon to fight to the death to protect their turf in a rapidly evolving industry. Even if it doesn’t win the spectrum, Google has already achieved much with “open access” and the launching of the Open Handset Alliance and its open-source mobile operating system (Android). Verizon announced recently that it is at least marginally opening up its network to allow any phone and any software application to run on it, as long as it meets minimum operational standards. Expect AT&T to do something similar. Ultimately how much Google affects the wireless industry remains to be seen, but in the search giant’s eyes consumers are already big winners. And for that reason alone, we, as consumers, should hope Google stirs up the U.S. wireless industry a much as possible, win or lose.